A gentleman never blames his tools. So make sure you have the right tool for the job. Wild and Wolf have created the Gentlemen’s Hardware collection to be functional, whilst always looking dapper. 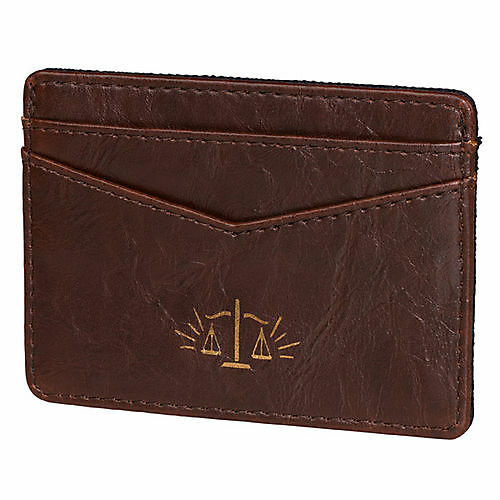 Keep credit cards, cash and passes safe and to hand with this slim and smart card holder, with three sections.Crafted from 15oz canvas with leather-effect detail, with printed gold scales motif.